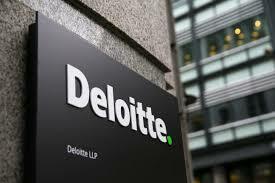 Risk advisory company Deloitte has increased its revenue by 5.9% from £3,380 million to £3,580 million in the financial year ended 31 May 2018, in turn marking the eighth consecutive year of revenue growth for the business. Across the service lines, Audit and Risk Advisory revenues grew by 10.2% to £1,027 million, Consulting increased by 1.7% to £873 million and Tax saw its revenue rise by 5.8% to £732 million. Financial Advisory remained at £459 million. In 2018, distributable profit was £584 million, as the firm continued to invest profits in building new capabilities, such as an internal Centre of Excellence for robotic process automation and an Artificial Intelligence studio. Average profit per equity partner was £832,000. 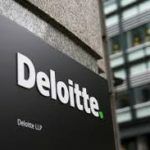 In the last financial year, upwards of 5,000 people joined Deloitte, with nearly 2,000 of them based outside of London. Of the 5,000, over 1,700 were graduates and school-leavers, including 270 BrightStart apprentices, Deloitte’s dedicated programme for school-leavers. The firm invested close to £40m in learning and development this year, and introduced new formal working arrangements – including annualised days contracts – as part of its agile working agenda. It also continued its mental health support initiatives. Deloitte contributed £5.7 million to charities and social enterprises this year, while also supporting over 340,000 people through the firm’s social impact strategy.